This highly effective self-defense system is believed to be over 5,000 years old. The style is representative of its origin in northern China where the cooler climate required practitioners to develop their flexibility through fully extended movements. Characterized by its low, wide stances and large circular arm movements, this style is also sometimes referred to as Long Fist. 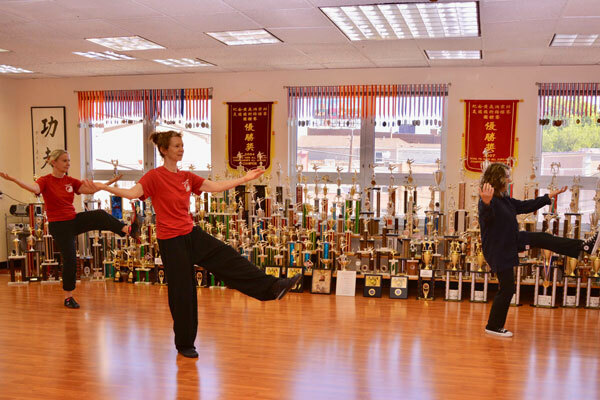 Northern Shao Lin can be practiced by all ages for developing self-defense skills as well as increased flexibility, improved concentration and coordination, and self-confidence. In Chinese martial arts there are considered to be three levels of fighting. The first or lowest level of fighting is the use of force against force. In most cases the greater force wins. The second level is using the opponents’ force against himself by learning to deflect or redirect the striking force. This method allows the practitioner to reserve full power for the counter-strike. The second level is where Northern Shao Lin begins. Although it is an external style of martial arts, making use of the skeletal alignment and muscular contraction, it is a soft style because of its deflective nature. The third level, a lifetime goal in kung fu practice, is to have such complete control over one’s body that any force applied to the practitioners’ body will set it in motion yielding to the oncoming attack. The development of this skill requires years of training and at it’s highest level requires no blocking or redirecting of an opponents force. The traditional method of training to achieve this level of skill requires a strong Shao Lin base followed by training in the internal arts of Tai Chi Chuan, Hsing Yi, and Pa Kua Chang. With over a billion practitioners in China alone, Tai Chi Chuan is the most practiced martial art in the world today. This first of the internal arts making up the Wu Dang System, the second and third being Hsing Yi Chuan and Pa Kua Chang, Tai Chi Chuan is considered by many to be an extremely high level martial art. Based on the yin-yang principle of balancing complementary forces, Tai Chi teaches the practitioner that through softness we can develop the sensitivity to yield to an aggressive force and attack an opponent’s weak position. The three levels of fighting explains that the highest level is to have such complete control over our body that any force applied to it sets the body in motion. Yielding completely and countering when our opponent is off balance or otherwise exposed is what makes this art so effective against a much larger opponent. It should be understood that the development of this finesse art as a form of self-defense is a long term goal and is traditionally preceded by training in a style such as Northern Shao Lin. Highly recognized as an exercise form for improving health, Tai Chi Chuan is also a formidable martial art. As an exercise for the mind and body the practice of Tai Chi Chuan has many benefits. The slow rhythmic movements gently exercise the muscles, joints, ligaments and tendons improving ones flexibility and coordination without causing some of the joint and muscle problems associated with more aggressive forms of exercise. The diaphragmatic or natural breathing method employed, increases the oxygen levels in the blood. Higher levels of oxygen provide greater elimination of toxins within the organs and throughout the body. Tai Chi is not a mindless floating exercise. Throughout the practice the mind is focused intently on the energy flow within the body. For this and other reasons it is referred to as an “Internal” martial art. The continued practice of Tai Chi has been proven to be effective against such chronic ailments as Arthritis, Insomnia, Back Pain, Asthma, Poor Circulation and more. Contemporary Wu Shu is the modern day version of traditional Chinese Martial Arts. In an effort to organize the many and varied styles of kung fu in China, the Chinese government has created standardized routines reflective of the specific styles they represent. These exciting performances are highly gymnastic in execution and while not intended for fighting, the power of these techniques is undeniable. Al Bender’s Kung Fu Academy began our Wu Shu Wonders program, offering Contemporary Wu Shu training to children ages 5 through 10, in 2004. Our goal for these students is to introduce them to the Wu Shu basics and to develop their co-ordination, control and focus with no emphasis on fighting. The development of these skills will create greater self confidence as the student progresses through the training. 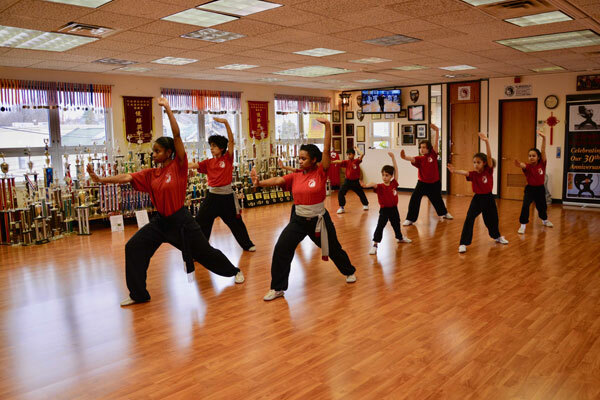 Children who reach the age of 10 have the option of continuing training in our Wu Shu Wonders program or they may advance to our traditional Shao Lin program where the emphasis on self defense is introduced and developed over time. Tradtional Chinese weaponry can generally be broken down into two categories, “long weapons” and “short weapons”. Long weapons are obviously designed to keep an opponent at bay, creating distance between the fighters as well as providing extended reach to strike the opponent from a safer distance. Long weapons were used effectively to combat adversaries riding on horseback or when fighting from horseback. The most common Chinese long weapons include the long staff and spear. There are also a number of variations of these long weapons including sectioned staffs and attachments such as blades, tridents (pitchforks), and various types of spearheads used for different applications in battle. Chinese short weapons include many of the bladed weapons ranging from the simple dagger and broadsword (saber) to more elaborate double edged swords, hook swords, axes and the like. These weapons, the most common among them being the broadsword, were most practical in close quarter combat where large groups would engage each other in battle. Other short weapons include the stick(s), short staff, cane and even the umbrella. The steel whip or chain (seven and nine sections being the most common) could fall into either the long or short weapon categories depending on its length. Weaponry training at our Academy today is part tradition and part practical. All weapons are considered to be an extension of the body and therefore require exceptional mind and body control. Weaponry is only introduced once the student has demonstrated proficiency and control in empty hand forms. As a practical matter, the techniques learned using traditional weaponry make any number of common items a potential weapon in the hands of a skilled practitioner. Believed by many to be the oldest of the Chinese martial arts, Hsing Yi is the second of the three internal styles (Tai Chi Chuan, Hsing-Yi Chuan and Pa Kua Chang) collectively known as the Wu Dang System. Like the other internal styles, mental focus and projection of energy is an essential part of the development of striking power in this art. Aggressive in appearance and performance, Hsing Yi is based on an ancient theory of five elements or Wu Hsing. The elements: Earth, Metal, Water, Wood and Fire are executed in a constructive and destructive cycle. The creative cycle teaches that Earth creates Metal because Metal comes from the Earth. Metal creates Water, or so it was once believed, by the process of condensation. Water creates Wood for without Water trees could not grow. Wood as a fuel creates Fire and Fire creates Earth by returning that which it burns into dust, thus back to Earth. The destructive cycle teaches the Earth destroys Water by absorbing and containing it. Water destroys Fire by denying it the oxygen necessary for combustion. Fire destroys Metal by melting it into a liquid form. Metal destroys Wood by its’ ability to chop or saw it into pieces and Wood, such as a tree, destroys Earth by breaking through and separating the ground as it grows. The elements can be practiced separately or sequentially. Each one is associated with a particular organ: Metal strengthens the lungs, Wood strengthens the liver, Water strengthens the kidneys, Fire strengthens the heart, and Earth strengthens the spleen. In combat, the technique of Wood is countered by the technique of Metal, Metal is countered by Fire, Fire is countered by Water, Water is countered by Earth and Earth is countered by Wood. An aggressive and powerful art, Hsing Yi is excellent for improving ones health. 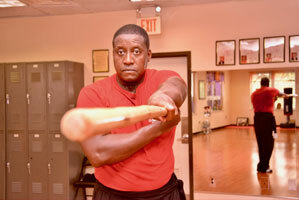 It is an exhilarating exercise and a highly charged self-defense system. Pa Kua Chang, the third of the internal arts making up the Wu Dang System, is an intricate system of circular movements generally practiced walking around a circle. This style, sometimes referred to as the “Dragon Style”, embodies the “Spirit of the Dragon”. Serpentine and crafty, the mystical dragon is said to evade an oncoming force and by twisting and coiling its’ body releases a powerful strike with its’ tail. The twisting, coiling movements of the upper body and the deliberate evasive legwork create a powerfully rooted style that employs the deflective and yielding aspects of Tai Chi and the forceful stinging strikes of Hsing Yi. The style, consisting of eight changing palm techniques used in complex combinations, trains the practitioner to maneuver around the opponent delivering a strike of tornado-like force generated by the turning waist and torqueing limbs. Practicing this style builds tremendous leg strength and upper body flexibility. It is said that a high level Pa Kua practitioner seems to disappear when attacked and then re-appears with a counterstrike. The evasive nature of this art qualifies it as a pathway to the highest level of skill – “not being there”.